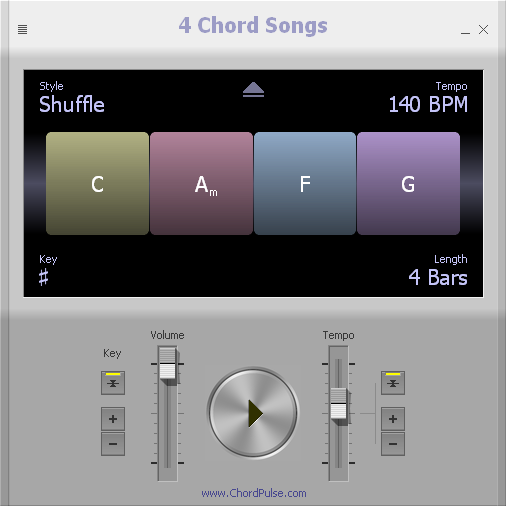 Select four chords, choose a music style and play along with the backing music. Bring color to your practicing or songwriting sessions with this fun tool. Jam along with your own chords or select one of the preset chord progressions. 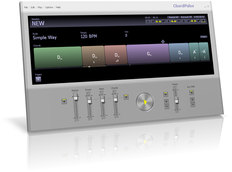 Experiment with over 50 music styles, adjust tempo, song key, and loop length in just a few clicks. Musicians can use 4 Chord Songs for rhythm training, warm up excercises, improvisations, practicing scales, while songwriters can get new inspiration with each new combination of chords and music styles and compose melodies or instrumental solos over the simple backing loop.